Your body is an amazing network of bones and muscles, tendons, nerves and more. By maintaining a healthy body weight, you give your body the ability to stay at optimal performance. When you carry more weight than your body frame was supposed to support, you may start to notice aches and pains in your ankles, in your knees and in other joint areas. At times, it might even feel like you can barely move. Or you might discover that sitting still for a few minutes and then getting up makes you feel a lot older than you really are because it hurts to straighten upright. You might even find yourself starting to limit activities you used to enjoy doing because of the pain in your joints. The reason that you have the pain is because a lot of pressure is being put on those joint areas. Then when you develop joint pain, the last thing you think about is exercising because it hurts the joints when you move around a lot. But even losing just ten percent of your overall body weight can make the pain ease up – plus you’ll find that you’re able to move around easier, too. You might think that carrying an extra twenty pounds is no big deal, but what you might not understand is how that multiplies the pressure on your joints. Carrying twenty extra pounds can equal a pressure equivalent to sixty pounds of pressure felt in and against your joints. 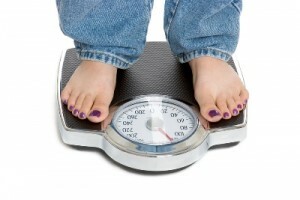 It’s no wonder that weight can cause joint pain. For each pound over your ideal weight, you should multiply by three – that will tell you how much pressure your joints are feeling. If you have pain in your knee joints for any reason, then extra weight can cause pain and difficulty walking even short distances. By taking off the weight, you lower the pressure against your knees, which makes walking easier. Exercise that’s low impact can help you shed pounds and give your knees much needed relief. Walking is one low impact way to lose weight and gain better joint health. Swimming is especially good for exercising – even if you don’t have joint problems because the water offers support for your body while you’re working out. Losing weight doesn’t just give you better joint health, but it can also help alleviate pain from conditions such as arthritis. Once you start exercising and losing weight, you’ll also notice that your joints aren’t as stiff and that it’s easier to get out of bed in the morning. You’ll also find that by keeping your body at a healthy weight, you can maintain long-term pressure management and keep your joints healthier a lot longer.